Picking up in Monterey with Mecum, we have three Duesenbergs, two of which sold. J-262 brought $1,155,000 and the other two were previously-featured cars. J-386 brought $3,850,000 (which turned out to be the overall top seller) and J-255 failed to sell. Excitingly, Alexander Rossi’s Indy 500-winning car sold for $1,127,500. 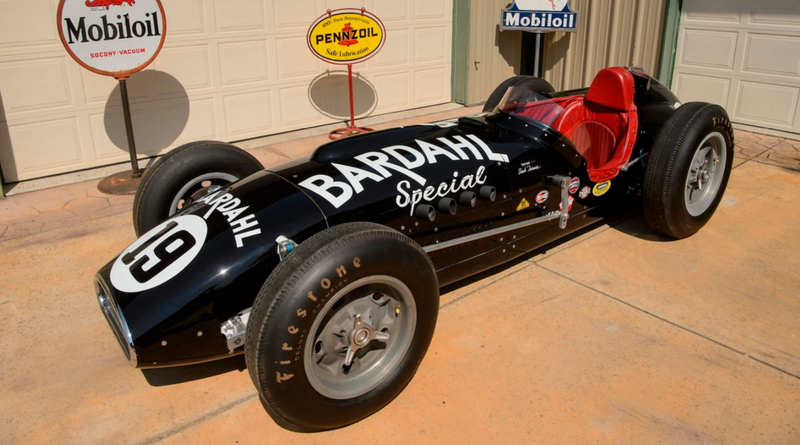 On a related note, Most Interesting goes to this 1957 Kurtis Kraft 500G “Bardahl Special” that sold for $258,500. The Alpine Edition Diablo brought $253,000. Cars that failed to meet their reserve included the Lamborghini Murcielago, Ferrari F12tdf, the Sang Noir Veyron, Lamborghini Centenario, Porsche 550A, and a previously-featured Locomobile, and Porsche GT3. 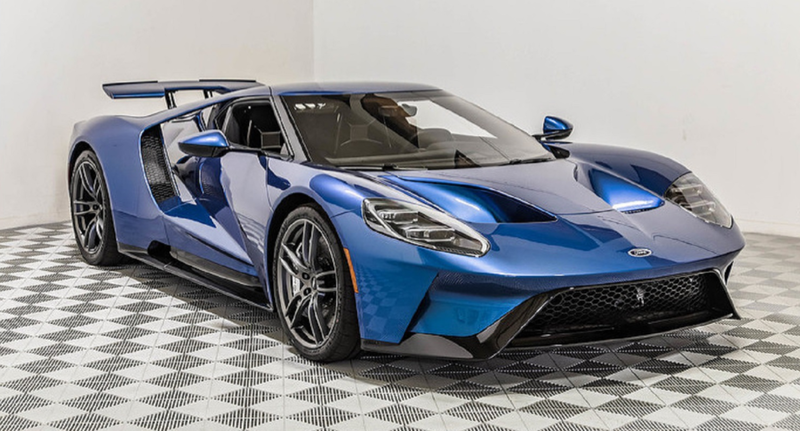 We move on now to Russo & Steele in Monterey where they sold John Cena’s 2017 Ford GT for $1,540,000. The GSM Dart that we featured from their Newport Beach sale (and failed to sell there) also failed to sell here. Click here for more results. Finally from Monterey we have Worldwide Auctioneers. The top sale was $1,320,000 for the Duesenberg Convertible Sedan we featured. The Tourster brought $775,500. Most Interesting goes to this 1916 Locomobile Model 38 Collapsible Cabriolet that sold for $473,000. Click here for final results. Off to the fun that is Auburn, Indiana, in the fall. 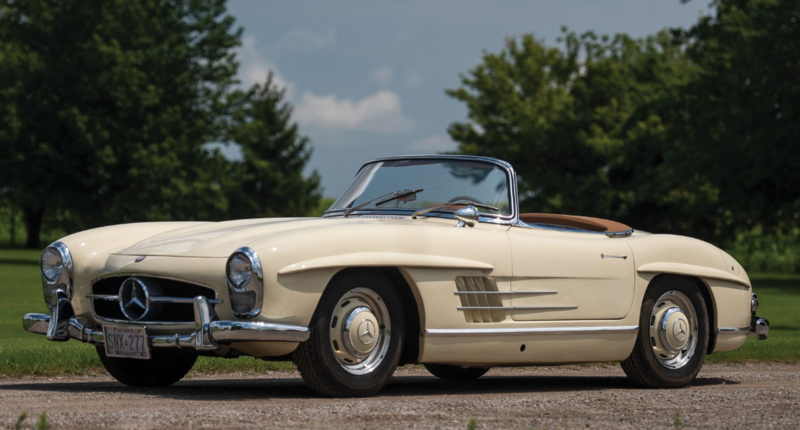 RM Sotheby’s is where we’ll start and top money went to this 1957 Mercedes-Benz 300SL Roadster for $852,500. The Duesenberg we featured wasn’t far behind, selling for $737,000. Going through the results of this sale every year makes me sick to my stomach. This year there were at least a dozen cars that are things I would love to have (and can actually afford!) and failed to purchase because I didn’t make the trip to Auburn. Such deals would’ve included the Maxwell we featured that brought just $13,200. Similarly, the 1920 Buick went for $14,300, the Cole $28,600, and the White $29,700. 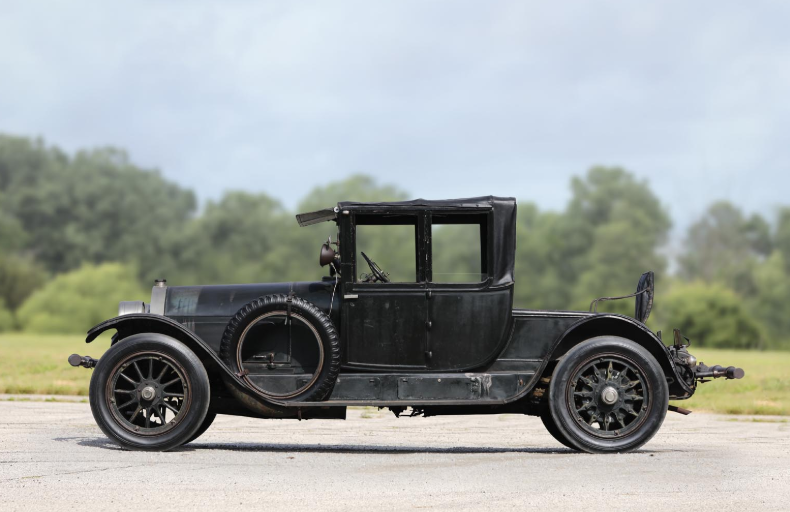 A previously-featured Terraplane failed to sell and complete results can be found here. 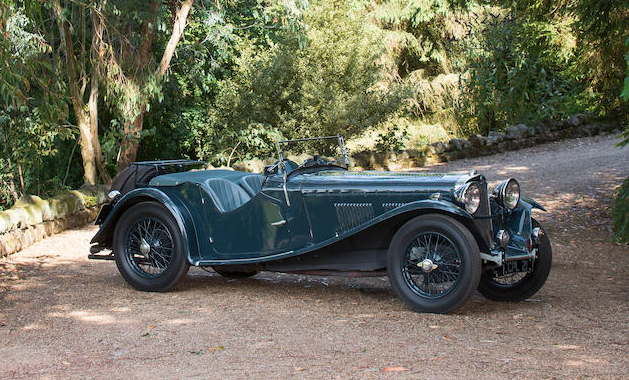 Held the same weekend as the previous sale, Bonhams had an auction across the pond in Beaulieu. The top reported sale here (there was a pre-war Bentley that they aren’t reporting the sale price on) was $283,001 paid for this 1935 AC 2-Litre 16/80HP Competition ‘Slab-Tank’ Sports. Among our feature cars, a previously-featured Marendaz led the way at $111,710. Four of the five old cars we featured sold, the exception being the Paige-Detroit. The Corre brought the biggest money at $40,215. The Phoenix blew past its estimate, selling for $32,768, the Reo sold for $23,831, and the Alldays & Onions brought $33,513. Click here for more from Bonhams. Now we’re talkin’. Here is an Indy car from the early 1950s, back when these cars ran on dirt more often than pavement. It predates other Kurtis cars, namely their Indy Roadsters. Frank Kurtis built some of the most dominant race cars of this era and, especially in the early 1950s, they won just about everything. The KK4000 was new for 1951 but race cars then tended to be fielded for years, even after they ceased to be competitive (a different KK4000 was raced until 1975). The 4000 series was a development of the earlier 3000 series and featured a lighter construction, thus making it faster. 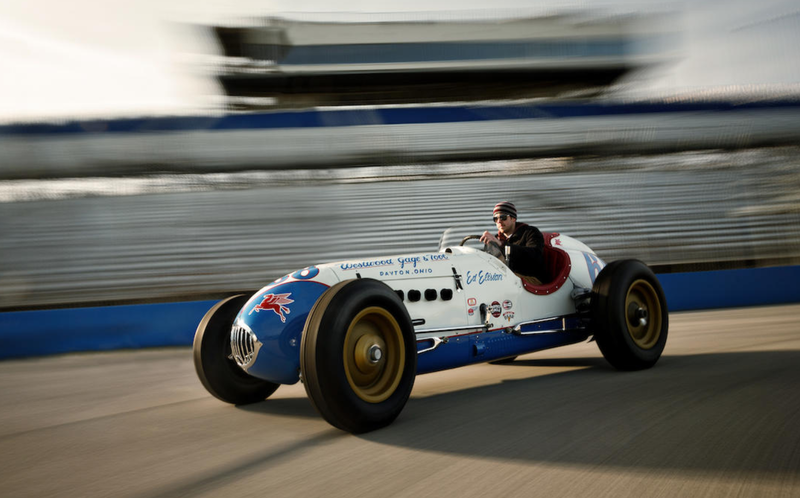 It’s powered by a 4.4-liter Offenhauser straight-four – probably the most legendary race car engine of all time. 1953 Indy 500 – ? It was entered in the ’53 500 but I can’t find who drove this chassis that race and if it even qualified. Bonhams doesn’t seem to know either. This car raced up through 1959 before it was retired and sold to a collector. It has been restored to 1955 race spec. This is a very rare, very historically important race car (this was the car Elisian was driving when he pulled over and tried to help Bill Vukovich after his fatal crash). It should sell for between $275,000-$350,000. Click here for more info and here for more from this sale. 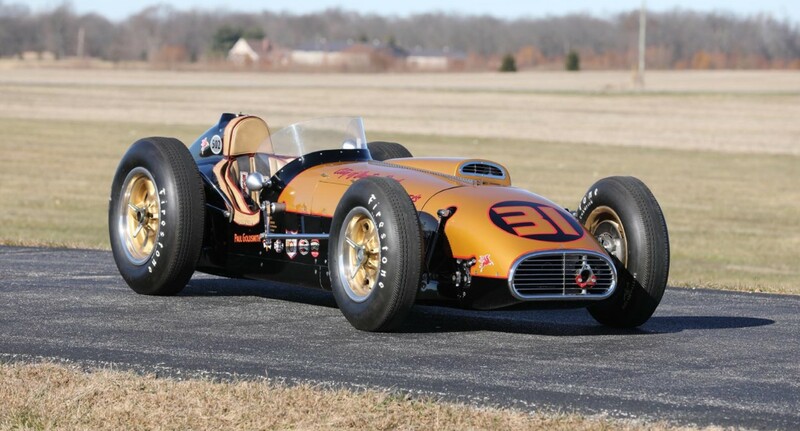 Update: Sold, Mecum Indy 2018, $291,500. Frank Kurtis began building race cars in the 1930s. They were midgets and the first one he built was for himself. But he was good at it – and people recognized that. His cars were so good that Frank Kurtis was the first non-driver inducted into the National Midget Racing Hall of Fame. After WWII, he tried his hand at fiberglass road cars and would go on to build five Indy 500-winning roadsters. The Kurtis Kraft 500 was a racing car – an Indy Roadster. They built a (barely) fendered road version as well. What we have here is a KK500 racing chassis. The body is by a company called Allied that built bodies, specifically near-copies of the Cisitalia 202. It’s a short-wheelbase car and uses a 5.2-liter V-8 from a Lincoln that has been tuned to make 257 horsepower. 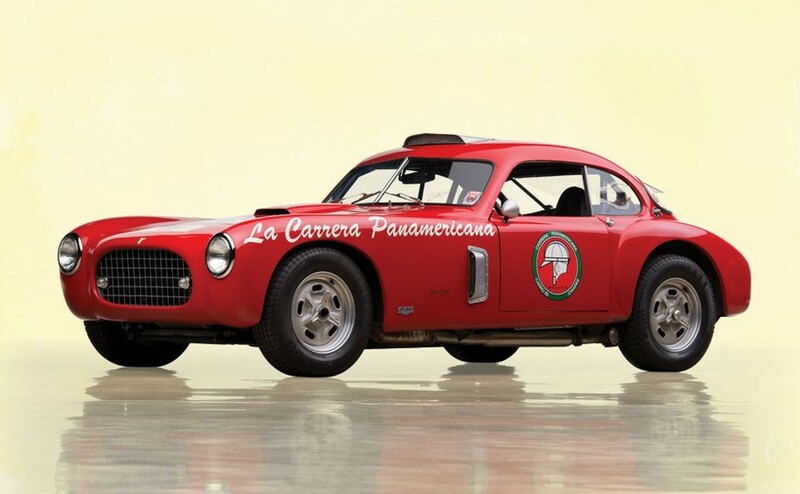 The car was built to compete in the legendary Carrera Panamericana, but the 1955 race was cancelled. It would, however, get to compete in the 1990 version of that race and some other vintage events as well. It’s one of only two Allied-bodied Kurtis cars known to have been built and should sell for between $140,000-$200,000. Click here for more info and here for more from this sale.